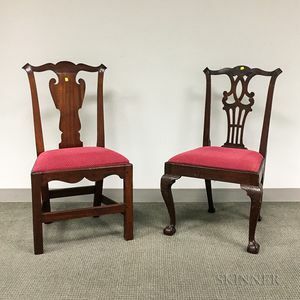 Two Chippendale Mahogany Side Chairs, (imperfections), ht. to 38 1/2 in. chair with carved knees with scratches to the back, wear and abrasions to the skirt and knees. 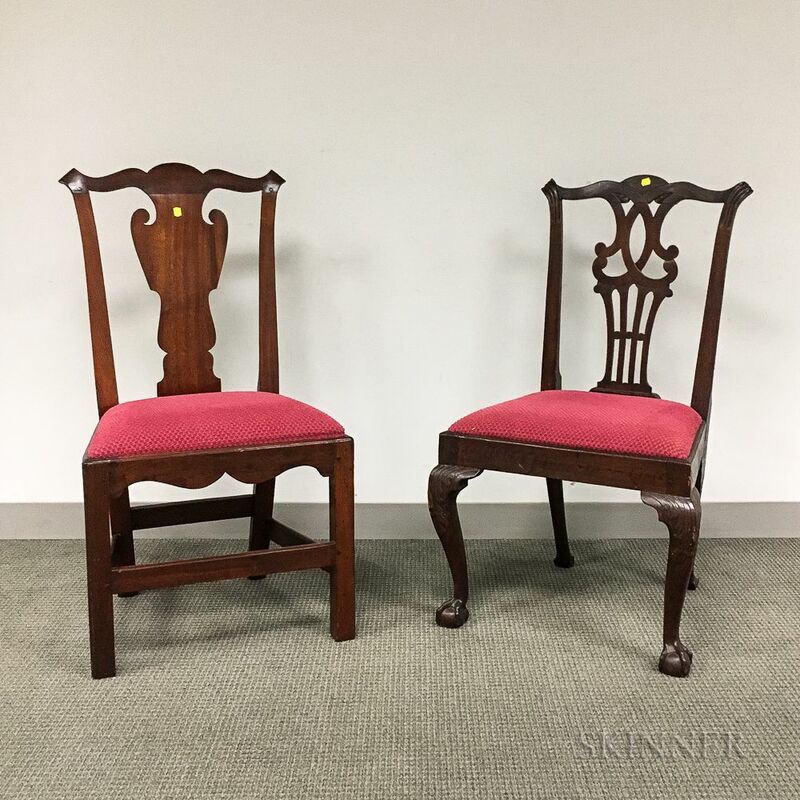 The other is refinished, repairs and patches to the splat, repair to the back stretcher, scratch to the right stile, and splits to the legs.